If you're looking for the highest quality of retaining wall, outdoor living, or hardscaping design work and attention to detail, you've come to the right place. At Edgington Construction, your satisfaction is always guaranteed. At Edgington Construction, we have been providing the residents and business providers with top quality Retaining Wall, Masonry, and Drainage Services in Tulsa and surrounding areas for over 20 years. 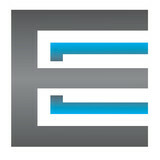 Here at Edgington Construction, we put the customer services as the number one priority. By building a great relationship with our suppliers, we are able to offer you the highest end materials at the best price. We are fully insured and have many references available upon request. Summit Concrete and Construction Company is a company that focuses on exterior home remodeling. Custom patios,Cedar Pergolas, Framed Cedar Patios, Stamped and Stained Concrete, Driveway Replacement, and Replacement Windows. We at Summit have consulted with geotechnicians and engineers to ensure that our driveway systems, patios, and retaining walls are designed to last. Summit Concrete and Construction Company is licensed with the City of Tulsa and City of Broken Arrow. Summit Concrete and Construction Company provides a project manager and quality control inspector for every job. Summit Concrete and Construction Company is a family owned business that strives for quality and customer satisfaction. 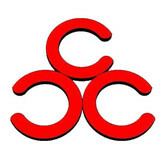 Cuellar Concrete is a locally-owned, family-run business with 30+ years of experience in the concrete business since 1979 and specializes in all areas of concrete. We take pride in our craftsmanship and we will surpass your expectations with our quality and artistic concrete work. We range in jobs from residential drive-ways to commercial projects, and everything in between. Based in Tulsa, Oklahoma, Cuellar Concrete services the greater Tulsa area as well as surrounding cities. For over 20 years, our family-owned and operated team of dedicated and experienced professionals has provided our residential and commercial clients with customized outdoor living spaces, unique landscape and hardscape design, as well as reliable retaining wall and drainage system implementation. We offer a wide-range of services to satisfy all of your property’s structural and remodeling needs. We are passionate about creating useful and comfortable spaces that also help make the world a more beautiful place. All of our projects marry creative inspiration with each client’s specific needs and expectations. Established in 2002, Bomanite of Tulsa has a well-earned reputation for construction excellence in cast-in-place architectural concrete. With a focus on installing premium quality concrete products, the construction professionals at Bomanite of Tulsa collaborate with owners, architects, and landscape architects at the earliest possible stages of design to assess the client’s vision and develop achievable solutions. Providing Bomanite Imprinted Concrete, Patene Artectura Coloration Systems, Exposed Aggregate Systems, Pervious Grasscrete, Bomanite Micro-Top Overlay Systems, and Bomanite Florspartic 100 products, Bomanite of Tulsa services a combination of commercial, municipal, and residential clients throughout Northeastern Oklahoma and beyond. Collaboration and open, honest communication define the process of working with Bomanite of Tulsa, where our experts in specialty concrete take pride in long-lasting product performance and appearance. Large-scale public experience including the Bartlett Square Fountain, The City of Tulsa Parks Splash Pads, and the Rhino Exhibit and Lost Kingdom at the Tulsa Zoo are joined by countless decorative walks, pool decks, patios, and finished interior surfaces for private residences to form a well-rounded history of success. Bomanite of Tulsa is committed to understanding the particular challenges and opportunities associated with each project and then developing the most aesthetically appropriate, cost-effective, and long-lasting concrete solution possible. Our team will dovetail with yours to visualize and realize exceptional construction quality within the budget and schedule parameters of each project. There are quite a few reasons for the huge demand of manufactured stone. One, it is created in a way that captures the timeless beauty and elegance found in natural stone. Two, its' lower cost and efficiency over natural stone and clay brick. Three, its considered a "green product". The main ingredients used in Cobble Rock and Stone products are all local raw materials, which decreases the amount Carbon being put into OUR ATMOSPHERE. Cobble Rock manufactured Stone and Brick Veneer is considerably more cost effective than natural stone and traditional clay brick. Did you know that up to three times more manufactured stone or brick can be shipped on a truck versus natural stone or traditional clay brick? Our products can be adhered to virtually any sound structure including but not limited to masonry, metal or wood framed construction without the need for a footing, which means thousands of dollars left in your pocket. This makes our manufactured stone and thin brick the wise choice for today's savvy and educated consumer. Whether being used for remodeling or new construction of your business or home, Cobble Rock and Stone products are the smart choice for today's consumer. No matter how large or small your project may be, Cobble Rock & Stone's knowledgeable and friendly staff is there to assist you. What are you waiting for, pick up the phone and give us a call on our toll free number (866) COB-ROCK. We look forward to hearing from you and supplying your next project as well as all of your projects for years to come. Beauty-Crete, Inc. has been committed to installing high quality decorative concrete and restoration products since 1983. Customer service is our focus, and we strive for 100% customer satisfaction. Distributors of Walker Zanger, New Ravenna, Akdo, Artistic Tile, Sicis glass, Emil USA, Panaira group, just to name a few. Natural stone fireplaces, stone columns, stair treads, pool copings, exterior paving materials in both stone & porcelain. Distributors of reclaimed limestone, terra-cotta & marble floors/ Italian glass & marble mosaics. Fine ceramics, subway glass, plus interior & exterior large scale porcelain products. Wendland Masonry has been in business since 1972, with over 45 years of experience. We specialize in all Brick, Block, Stone, Cast stone, Retaining walls, major and small repairs, Large and small jobs. Highly skilled and knowledgeable. All building types of residential, commercial, industrial, and restorations. Custom work is a specialty. Affordable Masonry provides quality brick and stone repair services and restoration in Tulsa. We have been in business since 2006. We do the job right the first time. 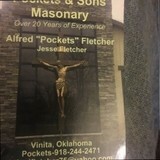 We invite you to experience the highest quality in the masonry industry. Our reputation is very valuable to us and we’ll do whatever it takes, to maintain it. We are a full service concrete contractor. At SPENCER CONCRETE EXCAVATION LLC, we are concrete specialists, and as specialists we aim to exceed your every expectation with our own standards of excellence. We’ll perform the site preparation, stamping, staining, scoring and decorative overlay for all of your concrete needs, ensuring that you’ll enjoy our finished work for countless years to come. We have the well-trained labor and advanced equipment necessary to adjust to any residential or commercial situation. Honesty and exceptional work go hand in hand. Here at SPENCER CONCRETE EXCAVATION LLC, we believe in letting the integrity of our work speak for itself. Is it time you spruced up your outdoor living spaces? Creative Glenpool pavers, masonry contractors and stone suppliers can help. Professionals specializing in hardscape such as walkways, patios and retaining walls will work with you to design, plan, install and even fix your exterior and interior home projects. Read further to learn how to best find and work with Glenpool, OK stone, brick, paver and concrete contractors. For the most part, people hire a stone or concrete contractor for large installations like driveways and walkways, or for home facades and exterior columns. These brick, pavers or stonework installations can add lots of functionality and visual curb appeal to your Oklahoma home. Pavers come in a wide variety of colors, shapes and sizes, and the right vendor or specialist can help you choose a color and design that complements your existing landscaping. From installing new exterior columns to repairing your chimney, masonry contractors can help you add both visual appeal and value to your property. They’ll know what kind of installation makes the most sense for your Glenpool, OK climate and regional style. Looking for something that will develop a patina with time? Or would you rather have your home feel brand new for years to come? Choosing the right kind of stone involves thinking about the future, too. Experienced brick suppliers and stone suppliers can help you find the material that will work for your home now and for years to come. These professionals aren’t limited to exterior work either. Whether you want a split-stone granite wall in the kitchen or need help installing traditional brick masonry on your fireplace facade, you’ll want a professional to get it right. If you’re already working with an architect or designer, he or she may be able to suggest a good Glenpool, OK subcontractor to help out. Here are some related professionals and vendors to complement the work of stone, pavers & concrete: Landscape Architects & Landscape Designers, Architects & Building Designers, Garden & Landscape Supplies, Driveways & Paving, Siding & Exteriors. Find stone, paver and concrete professionals on Houzz. 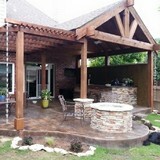 Search the Houzz Professionals section for Glenpool, OK stone, paver and concrete professionals. Browse photos and read reviews, and contact a pro if you like their work.